The wait is over. 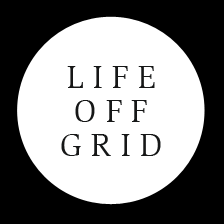 Life off grid is now available through Video on Demand. Click here to see the movie (or visit: https://vimeo.com/ondemand/lifeoffgrid). It can either be rented for 24 hours, or purchased, which allows for continuous viewing. We have created two versions of the documentary. This is the longer, “uncut” version of 85 minutes. A 52 minute version, made for TV and festivals, will also eventually become available for public viewing. Over the next little while we will also make Life off grid available through more VOD platforms and extend its global reach (currently viewers from Australia and New Zealand are not able to watch it due to territorial restrictions). More information to come through this blog and our Facebook page.